Forecast iOS 7 Animated Wallpapers - Weather for your Location on Lock Screen! Forecast iOS 7 offers a very simple and minimalist look on lock screen with animated weather themed wallpapers. For those who want animated wallpapers to show the current weather of your location, this would be a great addition to your iOS for a quick reference to temperature and weather details. Forecast iOS has been updated for iOS 7 and has been made to match iOS 7 perfectly. Once installed, you will get live weather updates and low and high temperature for the day on your lock screen. If you swipe the lock screen to the left, you will get a daily forecast of 12 hours. Swiping to right will give you a 5 day forecast for coming week! Go to Weather and set your current location before installing Forecast. Go to Cydia, search for Forecast, download, install and respring. Ta da! You can make any changes from within the settings. 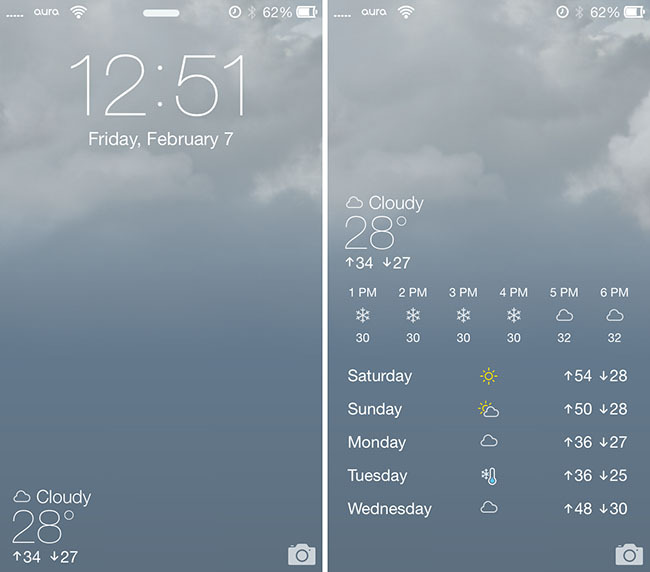 From here, you can choose to show or hide current weather and forecast pages on lock screen, or toggle on or off the animated wallpapers for lock screen and home screen. Let us know if you like Forecast iOS 7. 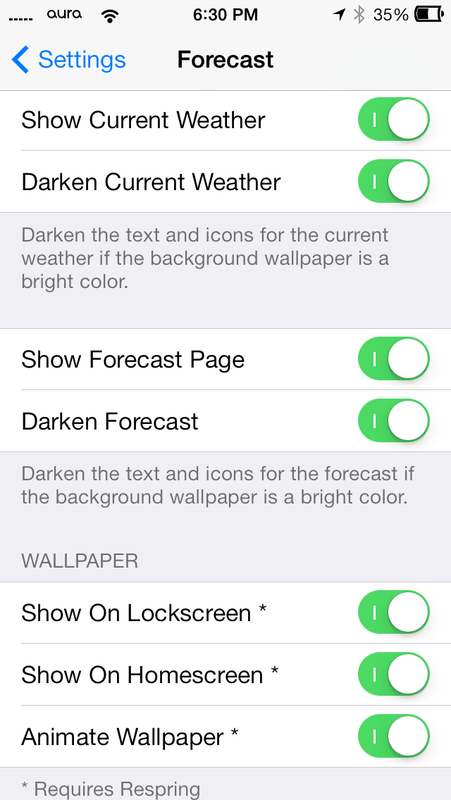 Also, don’t forget to check Weatherboard iOS 7 Theme for Weather-Based Animated Wallpapers!